Research has shown that cognitive, social, physical and spiritual demands of older age are effectively addressed with regular gardening. It is shown to increase protection against developing dementia , and there are suggestions that there are improvements in cognition . Gardening improves sleep , self-esteem and mood , orientation , reduces depression , decreases disruptive behaviour , levels of aggression  and violent incidents , and reduces trespassing  and pacing  in care homes. It increases levels of alertness , socialisation  and social integration in care settings . It lessens the stress of residents moving into care , and increases a sense of personal control . Gardening is shown to decrease the number of falls  and their severity of injury . It reduces blood pressure , improves grip strength  and fine motor skills , stimulates appetite , eases bed sores  and assists pain management . 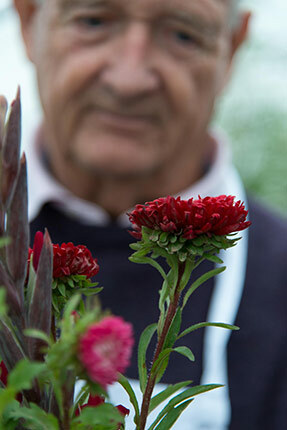 Wider spiritual matters of later life can be addressed such as providing an opportunity to discuss issues in a non-threatening way , offering a gardening legacy  through the development of creativity and self-expression , whilst providing a connection with nature . In older folk’s care settings, research shows that greening the environment both indoors and outdoors may benefit staff, relatives, visitors and care providers. Green environments have been shown to improve visitors’ ability to cope , improve staff mood, comfort and job satisfaction , reduce absenteeism  and turnover . Greening care settings also contributes to increased satisfaction by families and older folk with the provider  and increases the value of the care setting . Fabrigoule, C., Letenneur, L., Dartigues, J.F. and Zarrouk, M.1995. Social and leisure activities and risk of dementia: a prospective longitudinal study. Journal of the American Geriatrics Society, Vol. 43, No. 5, pp. 485-490. Schiamberg, L.B. et al.1985. The ecology of older adult locus of control, mindlessness, and self-esteem: A review of research and educational implications. Mather, J. A., Nemecek, D. and Oliver, K. 1997. The effect of a walled garden on behavior of individuals with Alzheimer’s. American Journal of Alzheimer’s Disease and Other Dementias Vol. 12, No. 6, pp. 252-257. Barton, J. and Pretty, J. 2010. What is the best dose of nature and green exercise for improving mental health? A multi-study analysis. Environmental Science and Technology Vol. 44, No. 10, pp. 3947-3955. Kitwood, T. 1997. The experience of dementia. Aging & Mental Health, Vol. 1, No. 1, pp. 13-22. Burbach, F.R. 1997. The efficacy of physical activity interventions within mental health services: anxiety and depressive disorders. Journal of Mental Health. Vol. 6, No. 6, pp. 543-566.
, J.A., Nemecek, D., and Oliver, K. 1997. The effect of a walled garden on behavior of individuals with Alzheimer’s. American Journal of Alzheimer’s Disease and Other Dementias Vol. 12, No. 6, pp. 252-257. Kuo, F. E. and Sullivan, W.C. 2001. Aggression and violence in the inner city: effects of environment via mental fatigue. Environment and Behavior Vol. 33, No. 4, pp. 543-571. Mooney, P. and Nicell, L. 1992. The importance of exterior environment for Alzheimer residents: effective care and risk management. Healthcare Management Forum, Vol. 5, No. 2, pp. 23-29. Cohen-Mansfield, J. and Werner, P. 1998. Visits to an outdoor garden: impact on behaviour and mood of nursing home residents who pace. In Vellas, B. and Britten, L.J. (eds) Research and practice in Alzheimers’ disease. Springer Publishing Company: New York, pp. 419-436. Meyer, W. J. 2007. Persistence Of memory: scent gardens for therapeutic life review in communities for the elderly. Masters’ thesis. ProQuest. Langer, E. J. and Rodin, J. 1976. The effects of choice and enhanced personal responsibility for the aged: a field experiment in an institutional setting. Journal of Personality and Social Psychology, Vol. 34, No. 2, pp. 191-198. Gigliotti, C. M. and Jarrott, S. E. 2005. Effects of horticulture therapy on engagement and affect. Canadian Journal on Aging, Vol. 24, No. 4, pp. 367-377. Rodiek, S. 2002. Influence of an outdoor garden on mood and stress in older persons. Journal of Therapeutic Horticulture Vol. 13, pp. 13-21. Schulz, R. 1976. Effects of control and predictability on the physical and psychological well-being of the institutionalized aged. Journal of Personality and Social Psychology, Vol. 33, pp. 563-573. Mooney, P. and Nicel, L. 1992. The importance of exterior environment for Alzheimer residents: effective care and risk management. Healthcare Management Forum, Vol. 5, No. 2, pp. 23-29. NIH Consensus Development Panel on Osteoporosis Prevention, Diagnosis, and Therapy. 2001. Osteoporosis prevention, diagnosis, and therapy. The Journal of the American Medical Association, Vol. 285, No. 6, pp. 785-795. Pretty, J., Peacock, J., Sellens, M. and Griffin, M. 2005. The mental and physical health outcomes of green exercise. International journal of environmental health research Vol. 15, No. 5, pp. 319-337. Langhammer, B., Lindmark, B. and Stanghelle, J.K. 2007. Stroke patients and long-term training: is it worthwhile? A randomized comparison of two different training strategies after rehabilitation. Clinical Rehabilitation, Vol. 21, No. 6, pp. 495-510. Zushi, T. 2004. A Practical Report of Horticultural Therapy in a Nursing Home in Japan. In VIII International People-Plant Symposium on Exploring Therapeutic Powers of Flowers, Greenery and Nature 790, pp. 121-128. Talbott, J. A., Stern, D., Ross, J. and Gillen, C. 1976. Flowering plants as therapeutic environmental agent in a psychiatric hospital. Hort Science Vol. 11, No. 4, pp. 365-366. Bringslimark, T., Hartig, T. and Patil, G.G. 2009. The psychological benefits of indoor plants: a critical review of the experimental literature. Journal of Environmental Psychology, Vol. 29, No. 4, pp. 422-433. Relf, D. 1981. Dynamics of horticultural therapy. Rehabilitation Literature Vol. 42, Nos. 5-6, pp. 147-50. Heliker, D., Chadwick, A. and O’Connell, T. 2001. The meaning of gardening and the effects on perceived well-being of a gardening project on diverse populations of elders. Activities, Adaptation and Aging, Vol. 24, No. 3, pp. 35-56. Perrins-Margalis, N.M. et al. 2000.The immediate effects of a group-based horticulture experience on the quality of life of persons with chronic mental illness. Occupational Therapy in Mental Health, Vol. 16, No. 1, pp. 15-32. Unruh, A.M. 1997. Spirituality and occupation: garden musings and the Himalayan blue poppy. Canadian Journal of Occupational therapy Vol. 67, No. 1, pp. 70-71. Whitehouse, S. 2001. Evaluating a children’s hospital garden environment: utilization and consumer satisfaction. Journal of Environmental Psychology, Vol. 21, No. 3, pp. 301-314. Larsen, L., Adams, J., Deal, B., Kweon, B.-S. and Tyler, E. 1998. Plants in the workplace: the effects of plant density on productivity, attitudes and perceptions. Environment and Behaviour Vol. 30, pp. 261-282. Marcus, C. C. and Barnes, M. (eds.) 1999. Healing gardens: Therapeutic benefits and design recommendations. Wiley: Com. Whitehouse, S. 2001. Evaluating a children’s hospital garden environment: utilization and consumer satisfaction. Journal of Environmental Psychology, Vol. 21, No. 3. pp. 301-314. Peiser, R.B. and Schwann, G.M. 1993. The private value of public open space within subdivisions. Journal of Architectural and Planning Research Vol.10, Summer, pp. 91-104.